Peggy Snow. “Depot, Fly, Tennessee”. 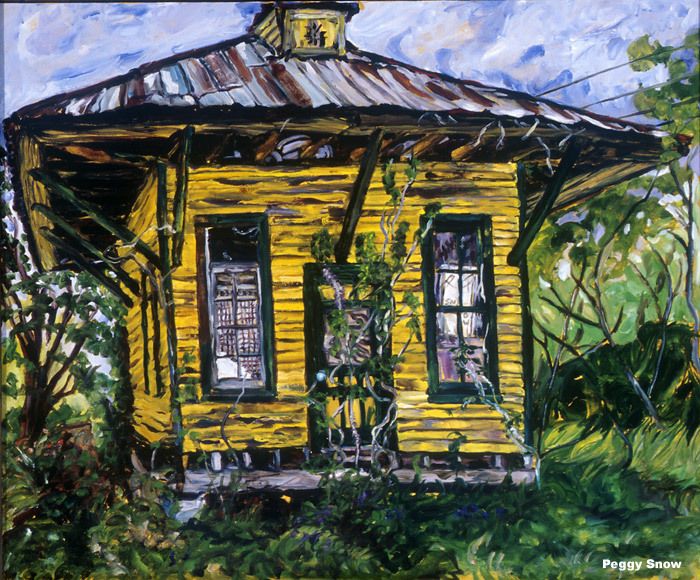 1994 oil on canvas 30"x36"
A one-room train depot in the country around Nashville stands empty now as testimony to the fact that our country also once had passenger trains traveling from city to town to village across our whole land. I wish it were still so.